The queen is in one of these. Phil, I pride my bees that I rescue and give homes as being feral mutts. I love looking in my hives and seeing all different colors. As most of you know, the genetics tend to be much stronger. 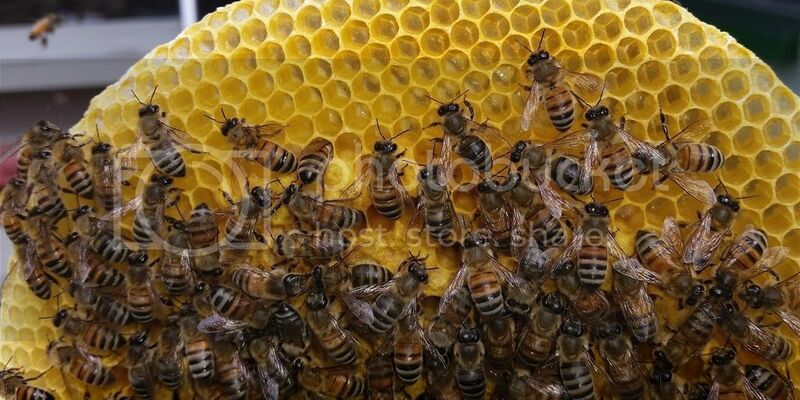 Nice fotos Patrick, bees look healthy. I think the queen is on the last foto at 3 o'clock. Yes, thanks, they are healthy, indeed. I have to watch for hive beetles, however. Pray you never encounter them. Yes, the beautiful queen is at 3 o'clock in last photo. I wish I could have them pollinate the heather you all have in Europe. I have to rely on weird stuff like Brazilian Pepper and Goldenrod. We don't have SHB here but it may be the situation in the future. Why is Varroa not a problem for you as there is no proper brood break? 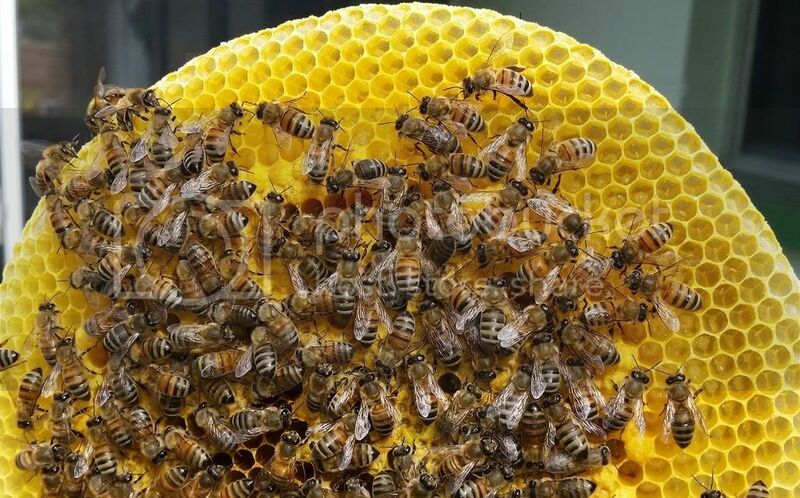 Have you bred your bees that are more resistant? 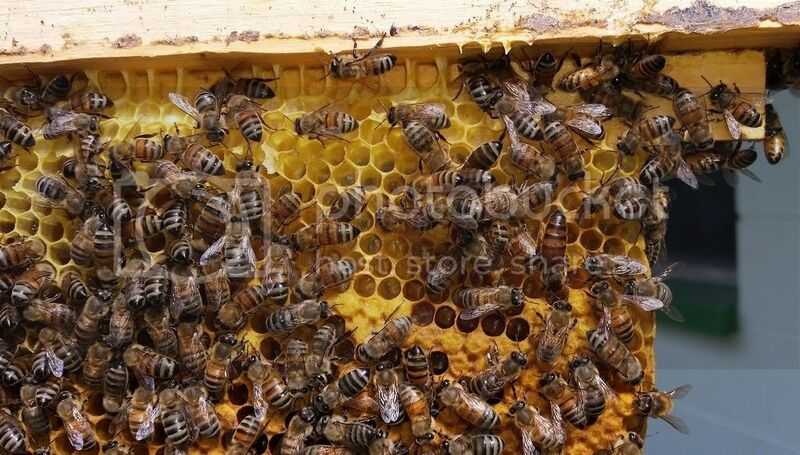 Why is Varroa not a problem for you as there is no proper brood break? 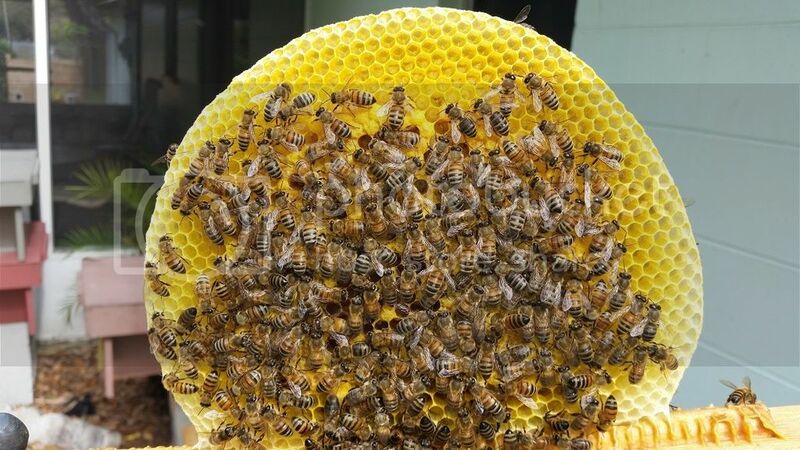 Have you bred your bees that are more resistant? I do numerous cut-outs each year and that ensures my stock is feral and resistant. Also, the building of natural comb, no treatments and no feeding play a huge part, imho. Great shots and very educational. Isnt nature in action amazing!